First there was fire. 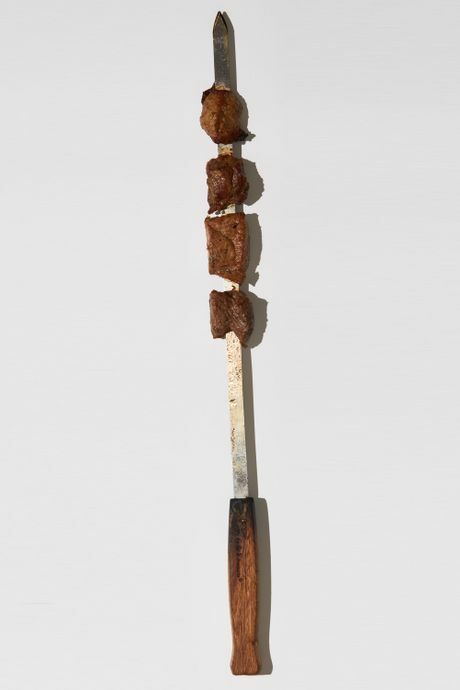 Some time later came Turkish kebabs, Greek souvlaki, Japanese yakitori, Indonesian sate, Peruvian anticuchos, and every other culture’s version of meat cut into pieces, threaded on a skewer, and charred over flame or dunked in a pot of boiling oil. 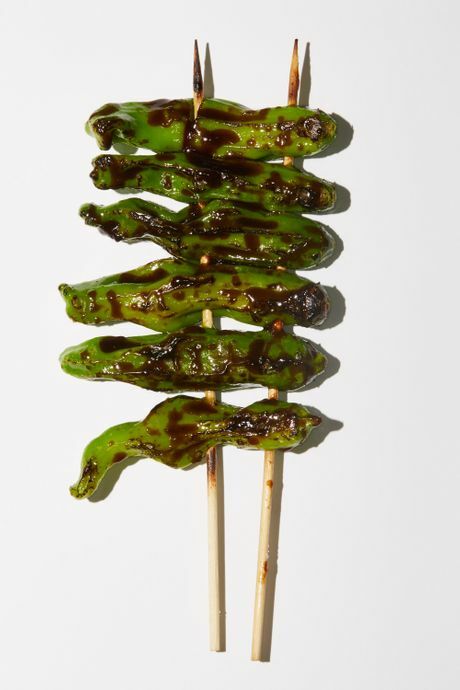 Cooking food on sticks is a universal technique, from the cumin-blasted Xinjiang lamb skewers sold for $1.50 a pop at smoke-spewing street carts in Flushing to the elegant, almost sculptural little deep-fried marvels you get with the $180 omakase at midtown’s kushiage temple, Yamada Chikara. 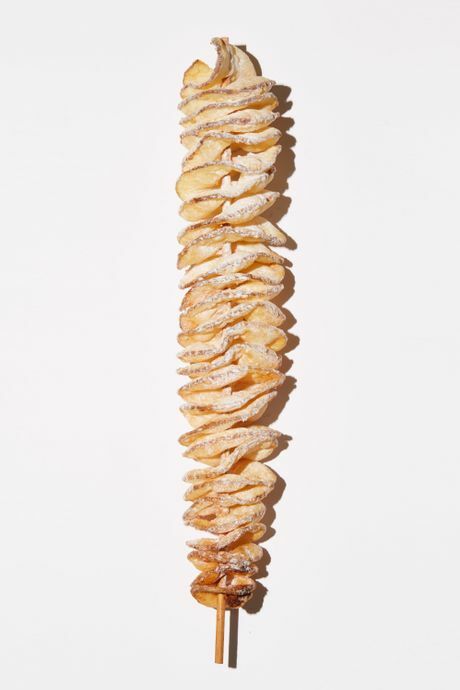 So yes, food on a stick is nothing new — in fact, it’s quite the opposite. But thanks to several colliding trends, in particular the influx of well-financed Asian imports, stick food is on the rise in New York. 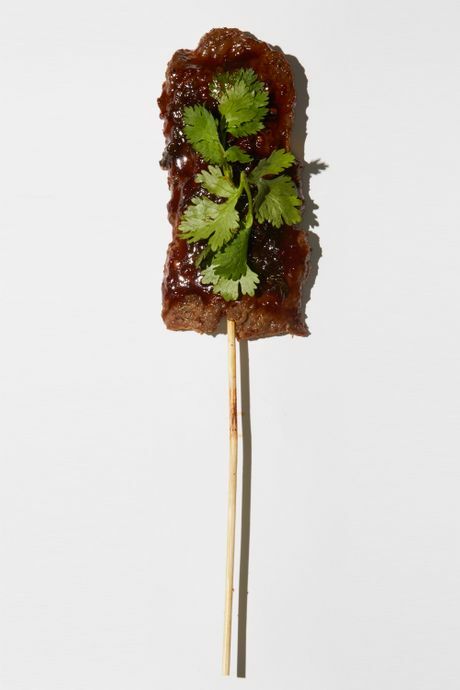 In Beijing, the street-food skewers are known as chuanr, and it’s a rare Chinese restaurant that has opened recently in New York without a menu section devoted to them. 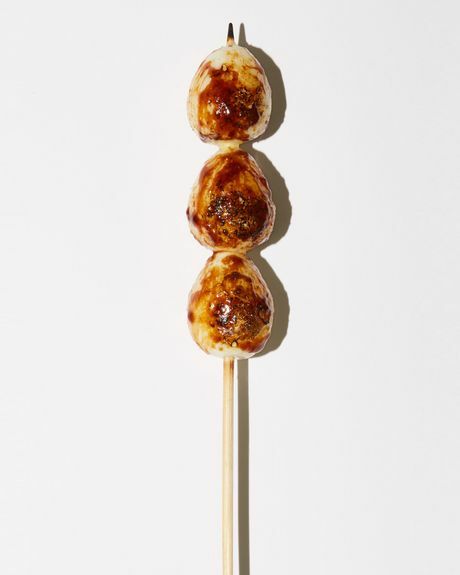 The beak-to-tail chicken-parts art of yakitori is also having a moment, and it’s just one subset of Japan’s larger skewering tradition. 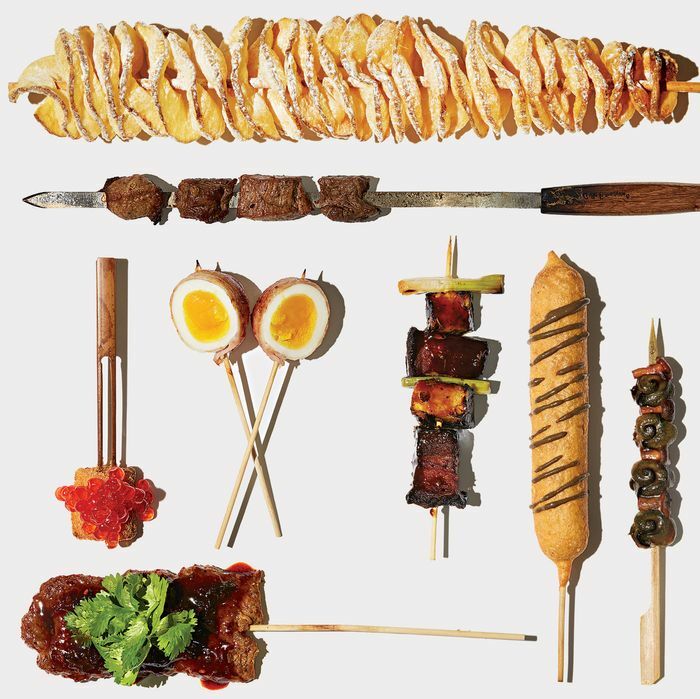 American chefs have taken inspiration from these cuisines and especially from the Japanese konro grill and binchotan charcoal, which have made their way into the Brooklyn kitchens of Olmsted and the Four Horsemen, both of which have experimented with yakitori. 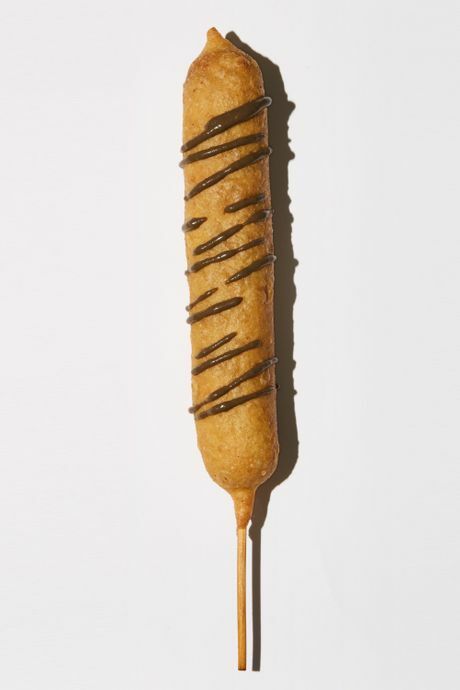 Of course, we can claim our own culture of homegrown food on a stick, even if it’s the deep-fried triple-bypass delights you find at state fairs, or marshmallows en route to s’mores-dom around a campfire. 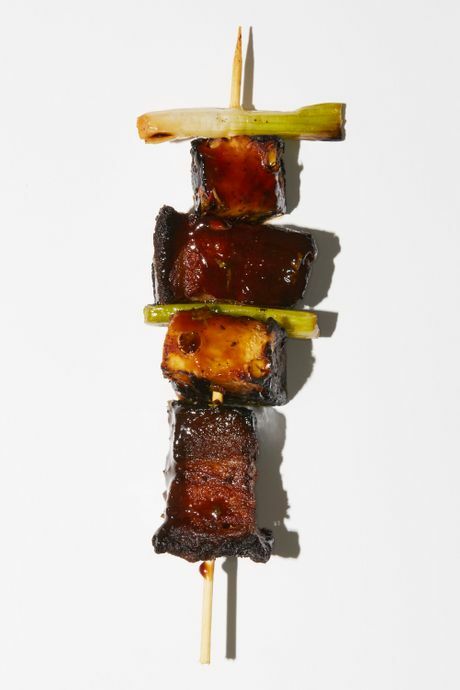 At its best, stick food bears a whiff of the grill, the memory of summer, the serendipity of street food, and the elemental pleasure of eating something directly off what it was cooked on. 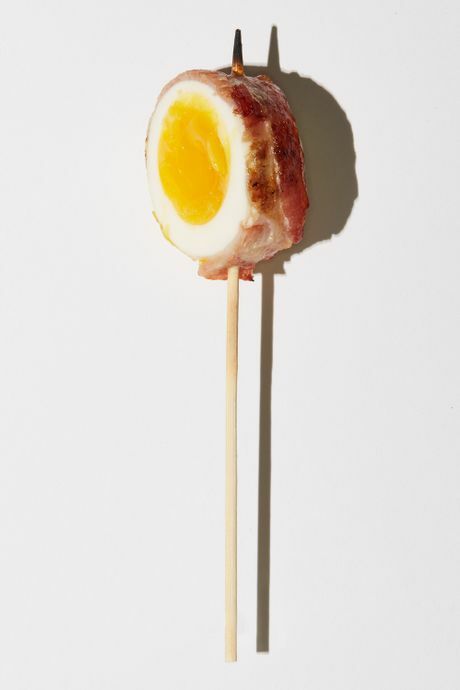 Breakfast on a stick, finished with truffle salt (Nonono, 118 Madison Ave.). 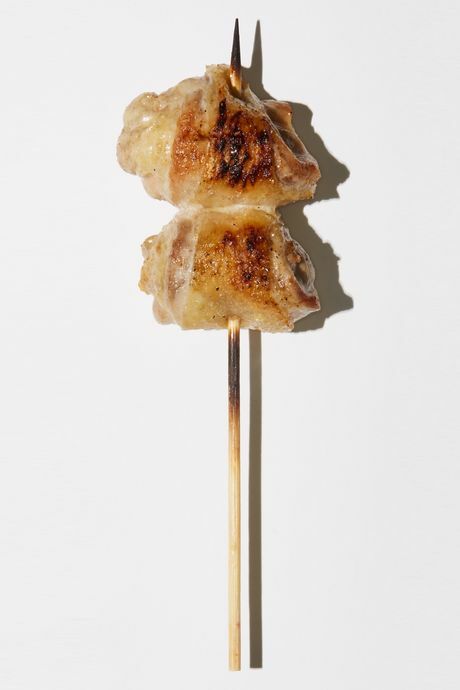 The point of yakitori is to grill every conceivable poultry part, from skin to tail, including these flavorful but often overlooked nuggets of meat behind the lower backbone (Nonono). 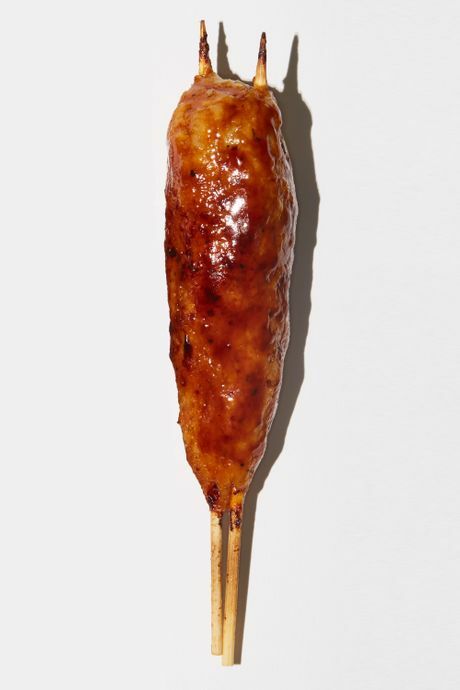 Defined as meatballs but actually more like mini-meatloafs or Central Asian lulya kebabs, these super-tender minced-chicken torpedoes are grilled and glazed with tare sauce, and no yakitori feast is complete without a couple (Nonono). On the streets of Lima, Peru, they’re as ubiquitous as hot dogs in midtown (Llamita, 80 Carmine St.). Brushed with snail glaze, dusted with kombu, served with condiments and mushroom-chard wraps (Eleven Madison Park, 11 Madison Ave.). 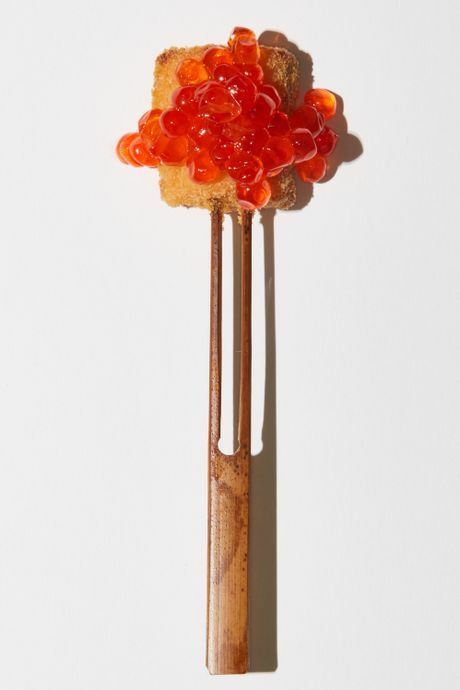 The miso-marinated, battered, deep-fried, salmon-roe-topped salmon — available only on the $180 omakase menu — redefines “fish stick” (Yamada Chikara, 249 E. 49th St.). 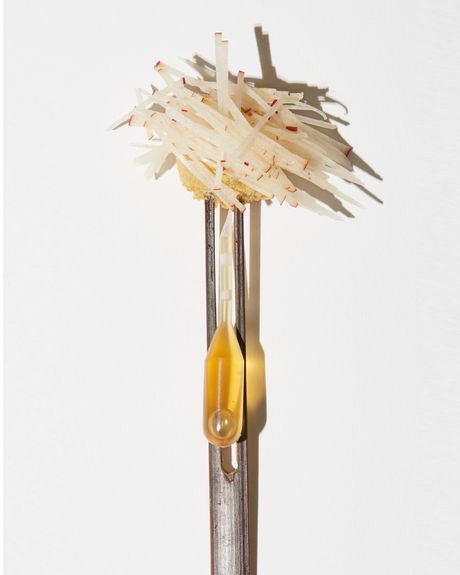 Cubes of Gorgonzola get battered, deep-fried, garnished with a fine julienne of apple, and hooked up to a sort of intravenous honey drip. Yes, the chef worked at El Bulli (Yamada Chikara). Spiral-sliced on a Ronco-like device, battered, and deep-fried. They’re big in Korea — and Corona (Twisted Potato at Queens Night Market, 47-01 111th St., Corona). 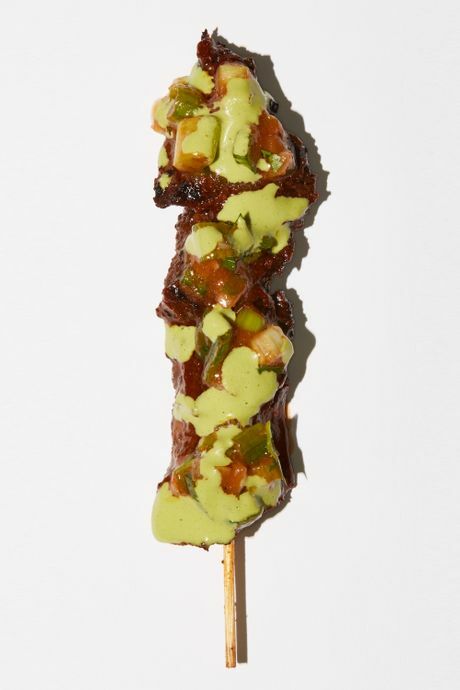 Japanese kushimono (skewered and grilled food), this stick inspired perhaps by the taco al pastor (Teo, 321 Starr St., Bushwick; opening in Oct.). 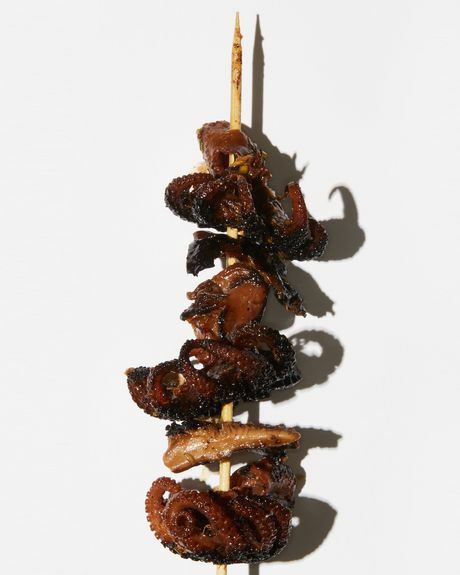 Squid row: baby octopus marinated in soy sauce and ginger then chargrilled (Teo). Alex Stupak’s cross-cultural brainstorm: Hebrew National wiener meets fresh corn-masa shell and huitlacoche mustard (Salvation Taco, 145 E. 39th St.). 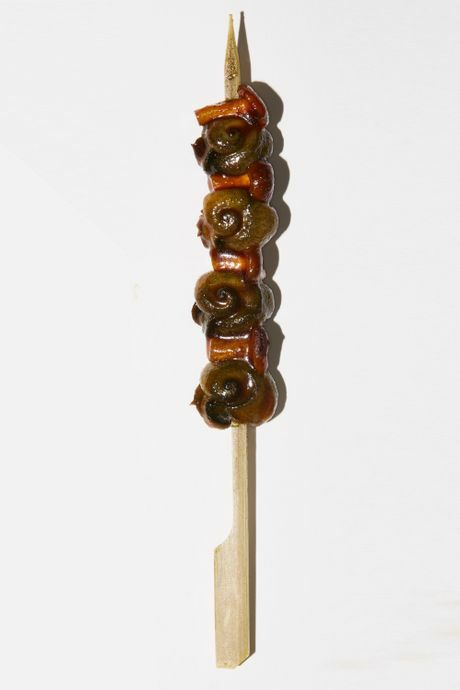 One of a dozen items on the new “skewers and grills” barbecue menu section (Hao Noodle Chelsea, 343 W. 14th St.). The quintessential Xinjiang street meat without the street (Hao Noodle Chelsea). Sweet, smoky, and incredibly creamy. You may never want your quail eggs cooked another way (Hao Noodle Chelsea). Super-tender beef skewers brushed with tamarind-chile sauce from Brooklyn’s best Thai restaurant (Ugly Baby, 407 Smith St., Carroll Gardens). 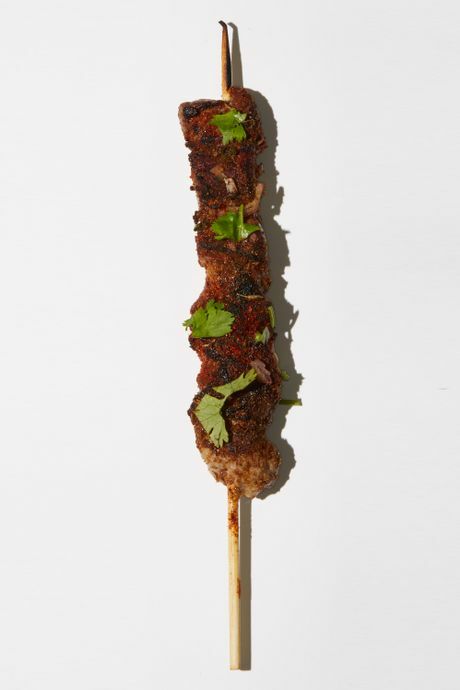 The meat’s Australian; the owner, recipe, and Uighur tradition hail from Xinjiang, China (Kebab Empire, 934 Eighth Ave.).